Right off the bat, I am stoked to say they use sitewide https secure encryption! Nice to see them helping to protect you and your information. Every 24 hours we give you a freebie entry!!! They have a huge marketplace with a pretty diverse product offering from jewelry to housewares, apparel, lights toys and more. Noticed that not all products have free shipping. Some listed “+$5.00 Shipping”, some say “Free Shipping”, so it looks like not all of it is fulfilled by Amazon. At least they are upfront about it! Lots of countries supported here. 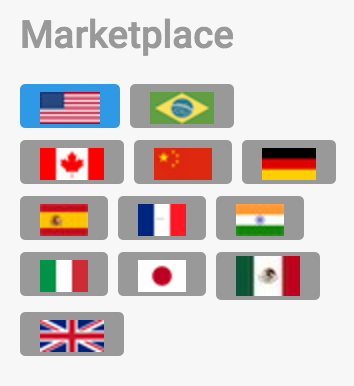 Also, you can filter the marketplace by country! Lastly, looks like their Facebook page is pretty active. Might be a great way to remind yourself to check their marketplace for new products. From the company: We are fully Amazon compliant and proud of it! This section is direct from the LootHoot Team. Reviewers start one grab at a time; this rolls over every 4 days and is NOT related to leaving a review. You can get more grabs over time, by simply being an active member and grabbing deals. We respect your seller and/or reviewer privileges and Amazon compliance has always been a top priority for us. 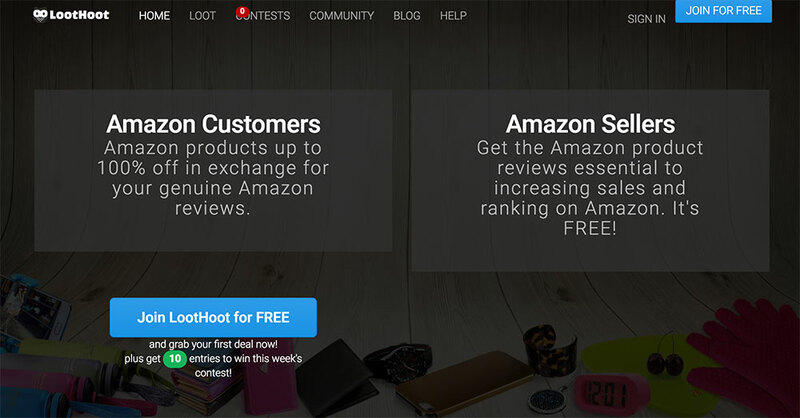 LootHoot is here to help sellers promote their product, get more Amazon sales, and increase their Amazon reviews. However, we do not bend the rules to do this. Our discounted products are not offered in exchange for a review, therefore, we no longer oblige our members to leave a review. Our members are not penalized or rewarded in any way for leaving a review and members are never rated. We do not ban or suspend members on our site if they do not review. Sellers have no way of choosing or knowing which members have grabbed their deal. Contact details between sellers and reviewers are never shared and contact is not facilitated or encouraged through LootHoot. Collection of customer’s Amazon Public Profile is no longer part of our account sign-up process and we no longer request it from our members. As a result, reviews can no longer be monitored by us. 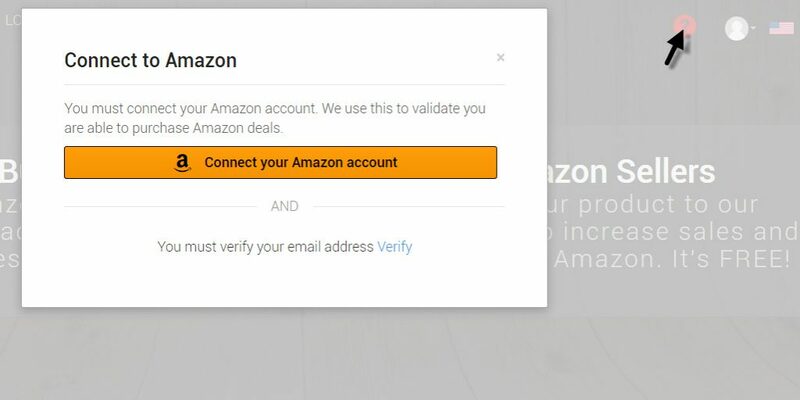 We only require that members link their Amazon account and verify the email address they use to sign up with as shown in the screenshot from our site. Linking Facebook is entirely optional and we no longer collect our member’s Amazon Public Profile ID as per the new Amazon requirements. Not really understanding this one. Sure most are not free since it is up to the seller what price the deal is set at. We encourage our seller to go as low as the feel comfortable with – this will then entice you the reviewers to grab the deal over others on LootHoot with a less attractive discount. As for “not even discounted not as expected”. I’ll assume you have found a deal that is a different price on Amazon after discount than what we advertised? Although this has been know to happen, it is rare. We have a team testing every deal and verifying the discount before we offer them to you. If this does happen it could also be that the seller changes their price on Amazon. If this does happen you should really let us know ASAP and we immediately update the pricing if this is found to be correct. Very few products are free and many come with a hidden postage charge . Customer service responses can be patronising . Very sorry to hear you had a bad experience on LootHoot. It is certainly what we hate to hear and are working to avoid from our members. Just a note to everyone on Reviewer Collective! As for the freebies…well that can change on a daily basis. We could have 12 then the next day it could be only a couple. I won’t go into it since I already covered it with a reply earlier today. FYI, we recommend you set your email preferences to receive an email as soon as new deals are posted. As soon as we post a freebie it can get all grabbed out in minutes! 1) if the deal is Fulfilled by Amazon for all you Prime members, we show a yellow tag with the “FBA” logo and acronym. Here’s all the places you will see the shipping. -The search results will show; the shipping charge & method, the discount & final cost, and a small image & description of the deal. -The deal’s detail page, shows both the tag described before and also a second time down the page with the shipping disclosed. -The final confirmation page before you commit to grabbing the deal. On this page we also show, highlighted, the shipping charge (only if there is one). We get the excitement of just “Grabbing” the deal, but always do a quick scout of the product on Amazon before you commit to grabbing & reviewing it. This way you can confirm the any shipping charges or like the reply to “@charles billings” you can make sure the seller hasn’t increased the price(rarely happens but you never know). EDIT: your website is HORRIBLE. I have an excellent internet connection, and your website is extremely slow. The items listed are terrible, and very limited. I could not contact your support, because it would give me an error. I cannot connect my Facebook profile to your website because there is no option provided to do so. I didn’t want to link my Facebook to your website anyways, and now that I have wasted 5 minutes of my life trying to do so, I don’t want to anymore. Good luck! I signed up and am very much not impressed. The sign-up itself is a stressful experience. I’ve been through the whole verification process a dozen times, and get confirmation that my account is verified, but when I try to use it, I’m told I have to verify first. I can’t ask Support for help because that works only with email verification, which takes me back to square one. In the meantime, I get a flurry of junk emails (ten per hour) which I can’t stop. I tried replying to the emails to ask for help, the emails came back as undeliverable. There’s no way to actually use the account, nor to stop the email barrage. I wish I had never clicked that site.